This past Sunday, April 29 and Monday, April 30, the Chiera Family Foundation celebrated its 25th anniversary and annual benefit — aptly titled the ‘Silver Soiree’ — supporting kids and young adults battling cancer at The Polo Club in Boca Raton. The evening featured an elegant dinner, auction and special performance by America’s Got Talent finalist Yoli Mayor followed by a golf tournament at The Old Course in Broken Sound the next day. The benefit raised over $250,000 in support of kids battling cancer to attend summer camp and college. Over 400 guests attended, including Olympic Gold Medalist Dave Christian from the 1980 USA Olympic hockey team and Olympic Gold Medalist Bob Beamon from the 1968 USA Olympic long jump team. Creek in Eustis, Florida while N.I.C.K’s Scholarships offers young adults a chance to attend the college of their choice. The foundation also offers a program to teach kids who are undergoing chemotherapy how to golf through The First Tee of Broward. This year’s sponsor list included longtime presenting sponsor KSM Electronics as well as other top foundations and companies including Summit Brokerage, The Bomar Foundation, The Rubin Family Foundation, Carousel Development Corporation, USI Insurance, Nancy Schroeader, Winner’s Award Group, Wiedenfeld Financial Group, Institute of Career Development, and Bacardi USA. The Chiera Family Foundation began as a tribute to the family’s patriarch who passed away from cancer, and has since evolved into one of the area’s largest fundraisers to enroll kids battling cancer to summer camp, golf instruction and college. The proceeds from the evening will directly support the foundation’s three programs: N.I.C.K.’s (Nothing is Impossible for Cancer Kids) Camp, N.I.C.K.’s Scholarships and N.I.C.K.’s Golf. Each summer, the foundation sends 150 kids to experience N.I.C.K’S Camp at Camp Boggy Creek in Eustis, Florida while N.I.C.K’s Scholarships offers young adults a chance to attend the college of their choice. The foundation also offers a program to teach kids who are undergoing chemotherapy how to golf through The First Tee of Broward. COCONUT CREEK, Fla. (March 2018) – Celebrating its 25-year anniversary, the Chiera Family Foundation is hosting its annual benefit — aptly titled the ‘Silver Soiree’ –supporting kids and young adults battling cancer on Sunday, April 29, 2018 at The Polo Club in Boca Raton. The evening will feature dinner, a special performance by America’s Got Talent finalist Yoli Mayor as well as silent and live auctions including the drawing of a diamond necklace from Gregory’s Fine Jewelry. The event’s signature golf tournament will take place the following day at The Old Course in Broken Sound. Guests attending the soiree will enjoy a reception starting at 4:30 p.m. followed by an elegant dinner, auction and live music from local singing sensation and America’s Got Talent finalist Yoli Mayor. The Cuban-American star born in Miami was a finalist on Season 12 of America’s Got Talent where the judges hailed her a “solid gold star.” She plans to release an EP this year. This year’s sponsor list includes longtime presenting sponsor KSM Electronics as well as other top foundations and companies including Summit Brokerage, The Bomar Foundation, The Rubin Family Foundation, Carousel Development Corporation, Incapital, USI Insurance, Nancy Schroeder, Peter Margolin, Winner’s Award Group, Wiedenfeld Financial Group of Raymond James, The Institute of Career Development, and Bacardi USA. Individual tickets are priced at $250 with tables starting at $2,250. For more information or to purchase tickets to the Silver Soiree, visit www.chierafamilyfoundation.org. 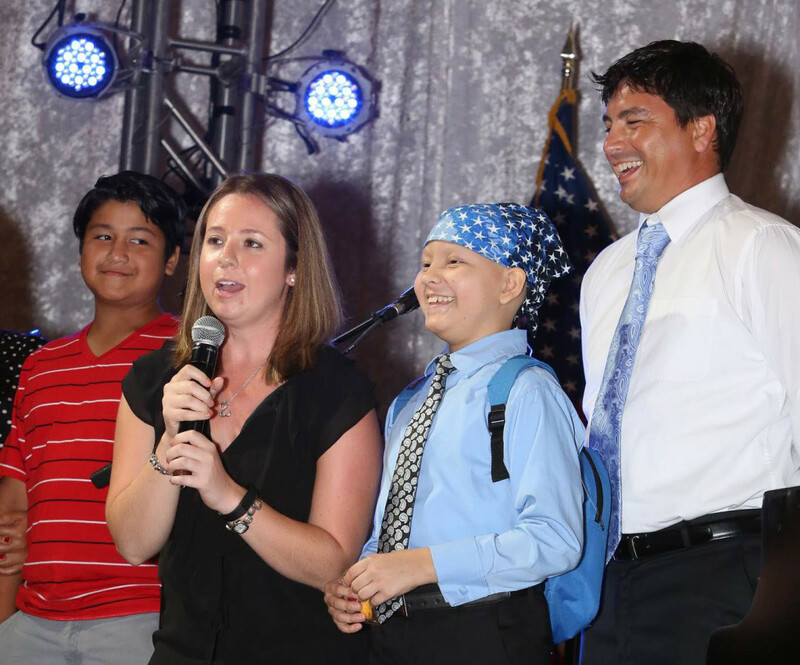 COCONUT CREEK, Florida (May 16, 2017) – The Chiera Family Foundation held their 24th annual Dinner Auction and Golf Tournament Sunday and Monday raising over $225,000 for kids in South Florida who are fighting cancer. What started as a tribute to their father Nicholas Chiera has now turned into one of the largest fundraisers for kids fighting this horrible disease. Sunday night’s affair, ROCK Around the Clock, featured a 50’s theme and a top band Patrick and the Swayzees. More than 350 people attended which featured guest speakers including campers, scholarship recipients, and even cancer patients who learned to golf through the foundation’s efforts. For the past 24 years, this event has helped thousands of deserving kids attend summer camp at Camp Boggy Creek in Eustis, Florida. In addition to sending kids to camp, the Chiera Family Foundation also has sent over 25 young adults to college, and now, more than 48 kids currently undergoing chemotherapy through a nine-week program run by The First Tee of Broward. Some of the kids who have attended N.I.C.K.’s (Nothing is Impossible for Cancer Kids) CAMP have now graduated as oncologists and social workers and are helping kids with the same cancer that they once battled. This year the Foundation was honored to announce a $44,000 donation made through the Milton J. Margolis trust, a man in Palm Beach County who listed the Chiera Family Foundation in his trust. In addition to the dinner auction, 120 golfers also participated in a golf tournament at The Old Course at Broken Sound on Monday morning. Partnering with Bridgestone Golf, the foundation also announced a week-long social media promotion called Play it Forward where people all over the country purchased golf balls to help this wonderful cause. Over 400 dozen golf balls have been sold since this program was launched. For more information on the Chiera Family Foundation and how you can play it forward, simply visit www.chierafamilyfoundaton.org. The annual fundraising event staged by the Chiera Family Foundation to raise money to help kids and young adults battling cancer was a resounding success. Held this past April 26-27th, the foundation netted more than $250,000 to send approximately 150 kids to NICK’s CAMP, a five-day sleep away experience at Camp Boggy Creek in Eustis, Florida. 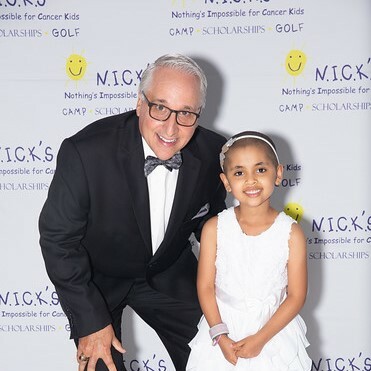 The annual dinner auction and golf tournament, with a New York “State of Mind” theme, was the signature event of an ongoing 23-year initiative that has raised more than $3 million, sent several thousand kids to summer camp and dozens more to college. The Chiera Family Foundation was formed 22 years ago as a tribute to a father who passed away from cancer. “ When people attend our dinner and auction, it is a life changing experience,” said Lou Chiera, the Foundation’s President. “They actually get to meet the kids that our foundation will send to camp and meet the college students who we are sending to college. Seeing where their money goes and meeting the children who directly benefit from our fundraising is something they never forget. N.I.C.K.’s stands for Nothing is Impossible for Cancer Kids. Lou Chiera’s father, Nicholas Chiera, was commissioner of Recreation and Parks in White Plains, N.Y. The concept of sending young cancer patients to camp was born as a joint tribute to his commitment to helping kids through recreation programs and to the battle he fought with cancer. Boggy Creek was built in 1996 at a cost of $23 million by actor/philanthropist Paul Newman and General H. Norman Schwarzkopf to create a free, safe and medically-sound camp environment that enriches the lives of children with serious illnesses and their families. Since opening, over 62,000 seriously ill children and family members have had the opportunity to attend camp for free. The camp is located on more than 250 acres of land just north of Orlando and enables the kids to forget about their disease for a few days as they swim, go horseback riding, and partake in archery, arts and crafts, theater, fishing and boating and miniature golf. Many families are financially devastated when faced with the high cost of cancer treatments. 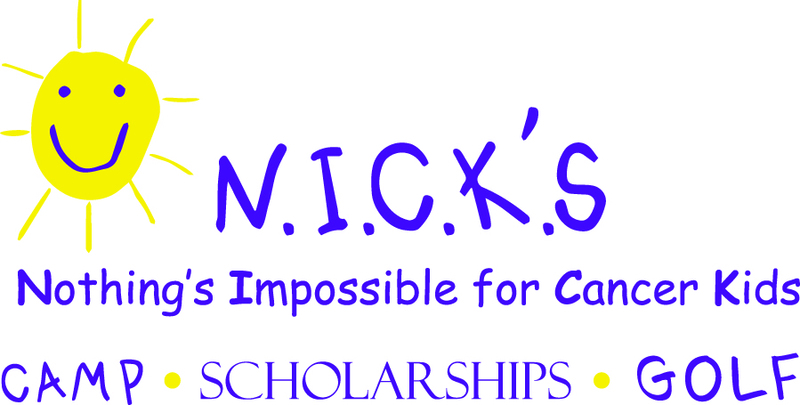 The N.I.C.K.’s scholarship program allows young cancer survivors a chance to earn a degree and achieve their dreams by awarding scholarships in amounts ranging from $500 to $2,500 per year. Some of the same students who went to camp and beat cancer are now social workers, graphic artists and even Doctors and Oncologists. The N.I.C.K’s Golf initiative, a partnership with Joe DiMaggio’s Children’s Hospital and The First Tee of Broward County, enables 12 cancer patients and some of their siblings to complete a 9-week program which teaches them golf as well as life lessons about honesty, integrity, nutrition, exercise and other important life lessons. All proceeds from the Dinner/Auction and Golf Tournament are benefitting all three N.I.C.K.’s Programs. To inquire about additional sponsorship opportunities or to get involved with The Chiera Family Foundation, visit the website at www.chierafamilyfoundation.org or call 954-480-8809, ext. 21.